16 oz. 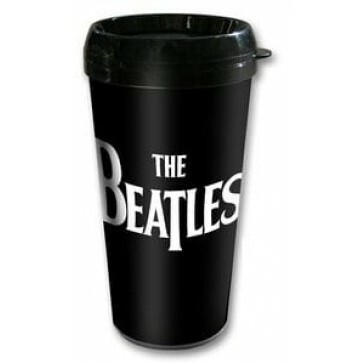 plastic Beatles travel mug features band's famous white logo. Packaged in Beatles themed box, perfect for gift giving. Hand wash only. Do not microwave.